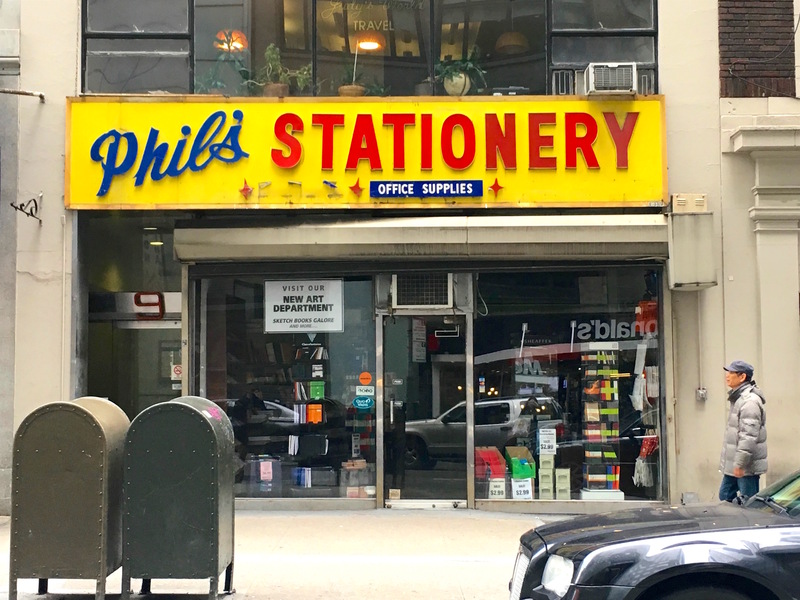 How long has Phil’s Stationery been at 9 East 47th Street, a low-rise gritty stretch between the gleaming towers and hotels north of Grand Central Terminal? 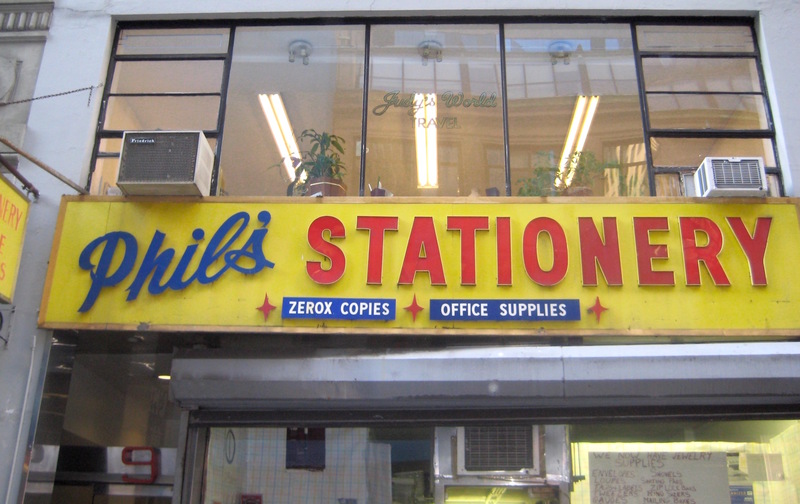 I’m not sure, but that mac and cheese yellow sign with the partly cursive lettering feels like it’s from the early 1970s. In the last decade, as 47th Street went from the edge of the Diamond District to a side street adjacent to Little Brazil, that charming misspelling was removed.